If you’re like most homeowners, then you probably can’t remember the last time you went into your crawl space. While crawl spaces are areas most of us avoid, there are several reasons why it’s important to ensure that you’ve properly insulated your crawl space. At Insulation Pros of Colorado, we recognize the importance of a properly insulated crawl space, and our talented insulation contractors will gladly insulate the space so that you don’t have to. Read more below to learn about why you should insulate your crawl space, and get in touch with us today to schedule an estimate for your home! Water damage is probably one of your worst nightmares, and understandably so. Evaporation from the floor, water droplets from your pipes, and moisture from the air can all accumulate in your crawl space, weakening the structure of your home and putting you at risk of mold growth. Even if your crawl space is fairly isolated from the rest of your home, it’s highly likely that there is at least some airflow between your crawl space and the rest of your home. If you don’t want your home’s structure and air quality to be compromised, then you should strongly consider purchasing crawl space insulation. Here at Insulation Pros of Colorado, we’re committed to helping our customers improve their energy efficiency and lower their monthly utility bills. Air leaks will make your HVAC system work overtime to compensate for the displaced air — no matter where it occurs in your home — so you should plan on insulating your crawl space if you’re trying to improve your home’s thermal-retention capabilities. In addition to lowering your heating and cooling costs, your HVAC system’s life will be prolonged when it doesn’t have to work as hard. As an added bonus, properly insulating your crawl space will decrease the likelihood that insects and small animals will make your home their own. Many Coloradans suffer from seasonal and year-round allergies, and insulating your crawl space can actually reduce the number of allergens and irritants that flow into your home. If you live in an area with a high concentration of pollen and other allergens, then you should consider adding crawl space insulation to your home in order to keep the air in your home comfortable and easy to breathe. 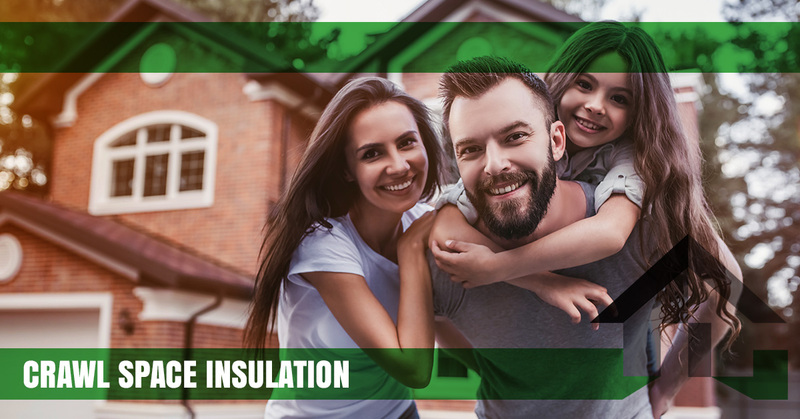 Call Colorado’s Top Rated Local® Insulation Company! Insulation Pros of Colorado is proud to be Colorado’s go-to insulation supplier. With more than 30 years of experience in the insulation industry, our commitment to customer service and quality products is unparalleled. We offer all of our customers a 10-year labor warranty, providing you with the confidence and peace of mind you need to take the first steps toward a properly insulated home. Are you ready to get started with a crawl space insulation installation? Get in touch with one of our talented and fully licensed insulation contractors today to request a free quote!